The installation is based on an in-depth design research about the potentials of bioluminescence during my graduation project “Designing with Living Light” at HfG Offenbach 2009. The starting point for my investigations into the phenomenon of bioluminescence was the idea that the light produced by certain microorganisms can be stimulated and manipulated. 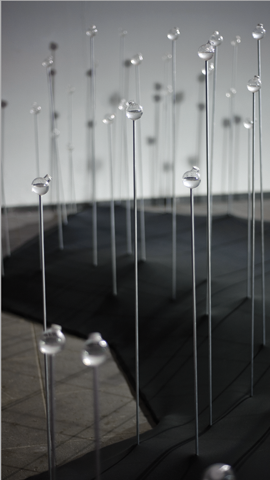 Based on this idea, the installation uses microscopic algae as a kind of biological sensor responding to motion with a visual feedback in form of flashes of blue light. 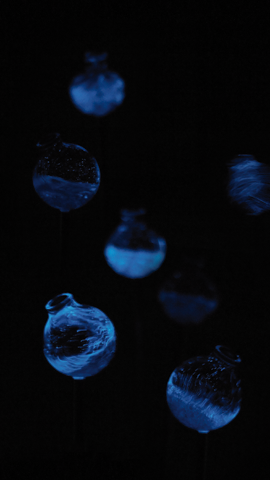 The ‘bioluminescent field’ is a walk-in installation that follows its own principles and is subject to the physiological rules of its living material. 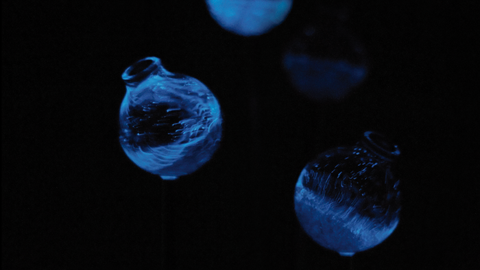 The visitors entered a dark room with a field of 60 delicate glass vials filled with algae in a salt water medium. 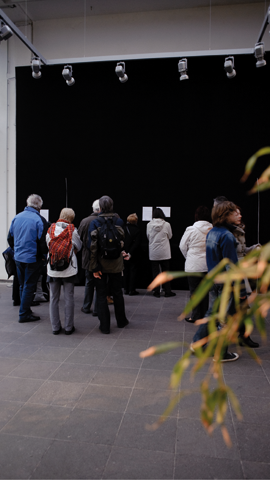 Moving the stems caused the emission of ephemeral flashes of blue light produced by algae in close interaction with the visitor. The project received a Design Plus 2010 award.